Christian PR Hackenberger completed his graduate studies at the universities of Freiburg and UW Madison (with Prof. Samuel H. Gellman) and his doctoral studies in 2003 at the RWTH Aachen under the guidance of Prof. Carsten Bolm. After his postdoctoral stay at MIT with Prof. Barbara Imperiali he started his own lab at the Freie Universitat Berlin in 2005 first as an Emmy-Noether group leader and in 2011 as an associate professor for bioorganic chemistry endowed by the Boehringer Ingelheim Foundation within a Plus 3 award. In 2012, he accepted a call as the Leibniz-Humboldt Professor for Chemical Biology to the Leibniz-Research Institute for Molecular Pharmacology and the Humboldt Universität zu Berlin, where he serves as a department head for the Chemical Biology section. His lab studies the biology function and pharmacological potency of naturally and unnaturally modified proteins as well as antibody-conjugates, in particular by developing new chemoselective and bioorthogonal reactions and novel concepts in functional protein synthesis and delivery. 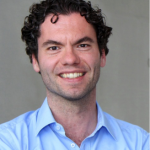 Christian Hackenberger is a coordinator of a national priority program funded by the German science foundation (DFG) focused on the chemoselective synthesis of functional proteins and an associate editor for Organic and Biomolecular Chemistry (RSC). Studying novel approaches for educating and performing research on medicinal chemistry in academia, Lubell has made seminal advances towards employing peptides in drug discovery. Innovating protocols for creating constrained amino acid and peptide surrogates to study structure-activity relationships, he developed the submonomer synthesis of azapeptides, aminolactam scanning and azabicycloalkane amino acid libraries for the rapid assessment of biologically relevant conformations and the evolution of peptide leads into peptidomimetic drug candidates with improved pharmacokinetic properties. Forging collaborations with biochemists, pharmacologists and physicians, his medicinal chemistry efforts have been key for teams developing intellectual property for drug discovery. For example, by developing allosteric modulators to regulate the prostaglangin-F2a receptor as interventions to prevent premature birth, an unmet-medical need with the highest cost per patient; he designed a novel lead ready to enter phase II clinical trials. Exploring peptidomimetic allosteric modulators of the interleukin-1 receptor, he developed candidates demonstrating efficacy in animal models of inflammatory bowel disease, psoriasis and osteoarthritis. Targeting the CD-36 scavenger receptor, he introduced lead molecules and helped to launch the start-up company Mperia Therapeutics Inc. that is targeted on developing treatments for diseases characterized by macrophage-driven inflammation, such as atherosclerosis and age-related macular degeneration, the leading cause of adult blindness. ResearchGate is the professional network for scientists and researchers. Professor Kristian Strømgaard graduated from the Royal Danish School of Pharmacy (1999), with part of the studies carried out at the Danish pharmaceutical company H. Lundbeck A/S and previous studies at University College London. He did his postdoctoral training at Columbia University (USA) and was subsequently appointed assistant professor at University of Copenhagen, and thereafter promoted to full professor in chemical biology 2006. His research spans chemistry and biology with focus on protein-protein interactions, including inlcuding peptide and protein engineering. In 2014 he was appointed Director of Center for Biopharmaceuticals at University of Copenhagen and 2016-17 he was a visting professor at Harvard Medical School. He is co-founder of the biotechnology company Avilex Pharma. Professor Mibel Aguilar is a Bioanalytical and Biophysical Chemist at Monash University whose research focuses on biomembrane nanotechnology and peptidomimetic drug design. She completed her PhD in Chemistry at the University of Melbourne studying the metabolism and toxicity of paracetamol. She then completed a Post Doctoral position at St Vincent’s Institute for Medical Research working on developing physical models for protein analysis and purification. She then moved to Monash University where her group now focuses on peptide-based biomaterials and drug design and biomembrane nanotechnology and are developing novel compounds that allow us to exploit the potential of peptides as drugs and biomaterials. She has published 193 papers and 26 book chapters, and edited a volume of Methods in Molecular Biology on HPLC publications. She has also supervised several PhD and Honours students. Her group focuses on peptide-based drug and biomaterial design and biomembrane nanotechnology and are developing novel compounds that allow us to exploit the potential of peptides as drugs. We are currently applying our technology to the development of new compounds for treatments of cardiovascular disease and also developing novel self-assembling systems for the production of new biomaterials and nanomaterials for tissue engineering. Our membrane nanotechnology projects involve the development of new biosensor methods for the analysis of membrane-mediated processes such as apoptosis, G protein-coupled receptor function and antimicrobial peptide function. Eric Valeur obtained his PhD from the University of Edinburgh under supervision of Prof. Mark Bradley, where he developed a new approach to fragment microarrays. As postdoctoral fellow, he then joined the Northern Institute for Cancer Research in Newcastle working on inhibitors of MDM2-p53 in Prof. Roger Griffin’s group. Subsequently, he led medicinal chemistry teams in major therapeutics areas first at Merck-Serono in Paris and then at Novartis in Basel. In particular, he was involved in the development of challenging non-peptidic proteases inhibitors within the Expertise Protease Platform. In 2014, he joined AstraZeneca in Sweden, as Associate Director for New Modalities Medicinal Chemistry, to drive research within the chemical space at the interface of small and large molecules. His vision is to move away from silos in the pharmaceutical industry by integrating chemical spaces, in essence leveraging the potential of each modality either separately or as hybrids. Thus, his present research interests include small molecules, peptides, macrocycles, oligonucleotides and conjugates thereof. 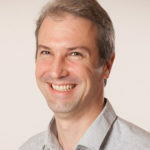 In addition to his current role, he established in 2015 and now steers a unique approach to innovation consisting of an AstraZeneca Satellite Unit based at the Max Planck Institute in Dortmund, Germany, with three AstraZeneca scientists being directly embedded within Prof. Herbert Waldmann’s research group.